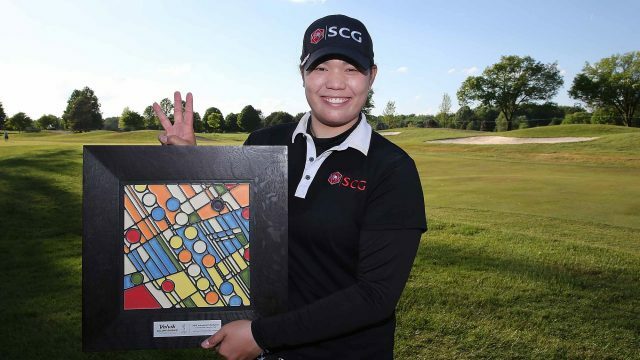 ANN ARBOR, MI (AP) – Ariya Jutanugarn became the first player to win three straight LPGA Tour events in three years, closing with a 5-under 67 for a five-stroke victory Sunday in the Volvik Championship. Jutanugarn became the first Thai winner in tour history three weeks ago in Alabama and followed that up last week with a victory in Virginia. Jutanugarn doesn’t plan to play the next event in New Jersey, where she would have had a shot to become the first since Lorena Ochoa in 2008 to win four tournaments in a row. Canada’s Brooke Henderson, of Smiths Falls, Ont., shot an impressive final round 68 to finish the tournament tied for third at 9 under.